Physiological and psychological mechanisms have been proposed to link stress and musculoskeletal pain (MSP), and a number of stress biomarkers in patients with chronic pain have shown to be associated with stress-related disorders as well as health and recovery. 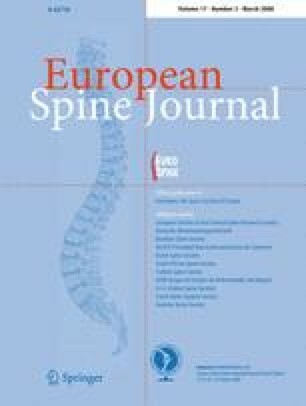 The aim was to study if similar results might be found in a working population, in stress and computer intensive occupations with mild/moderate pain in neck, shoulder and back. The questions were if there are: (1) associations between self rated neck, shoulder and back pain (VAS) on one hand and stress-related (catabolic), recovery related (anabolic) variables, cardiovascular/lifestyle factors and immune markers on the other hand. (2) associations between long term changes in pain and stress marker values (6 month period). (3) predictive values in stress biomarkers for pain (12 month period) A study group with 121 media workers, 67 males (average 45 years) and 53 females (average 43 years), at three news departments of a media company was recruited. Pain occurrence and pain level in neck, shoulder, upper and low back were self-rated at three times with a 6-month interval towards the last month. Stress biomarker sampling was performed, at the same intervals. An additional similar questionnaire with momentary ratings focusing on “at present” i.e. within the same hour as stress biomarker sampling was performed. There were no changes in medicine intake or computer working hours during the 12 month study period. The total pain level and prevalence of pain decreased between baseline and 12 months´ follow-up. The rate of participation was 95%. Cross-sectional analyses on differences in stress biomarkers in groups of “no pain” and “pain” showed less beneficial stress biomarker levels (P < 0.05) in the “pain” group after age and gender adjustments in: S-DHEA-S and P-endothelin, S-insulin and P-fibrinogen. Analyses of each gender separately, adjusted for age, revealed in males differences in S-insulin, saliva cortisol 3, and P-endothelin. Furthermore, tendencies were seen in BMI, P-fibrinogen, and S-testosterone. In the female “pain” group a less beneficial P-BNP level was found. Longitudinal analysis of changes in pain levels and stress biomarkers within an interval of 6 months showed beneficial changes in the following stress markers: P-NPY, S-albumin, S-growth hormone and S-HDL when pain decreased, and vice versa when pain increased. Linear regression analyses showed statistically significant predicting values at the initial test instance for pain 12 months later in lower S-DHEA-S and S-albumin and higher B-HbA1c and P-fibrinogen. In stepwise regression and after age and gender adjustments, the associations with S-DHEA-S remained statistically significant. The present study shows that individuals in working life with a high level of regenerative/anabolic activity have less pain than other subjects, and that decreased regenerative/anabolic activity is associated with increasing pain. The levels of NPY, albumin, GH and HDL increased when pain decreased and vice versa. Low DHEA-S predicted pain 12 months later. These findings might contribute to increased knowledge about strategies to prevent further progression of neck/shoulder/back pain in persons who are “not yet in chronic pain”. We thank the administration staff at the Swedish Broadcasting Company for Radio and Television for their collaboration. We also thank Bo Nilsson for contribution and assistance in the statistical analyses. No financial interests were involved.